Selwyns Coach Hire has been providing coach hire for schools, colleges and universities in the North West for over 40 years. Our experience has given us an in-depth knowledge of the particular challenges involved in providing a professional service to the academic community. We offer our school coach hire services for travel all over the UK and abroad. To help make the task of organising your journey easier and complying with regulations, we can provide you with risk assessment templates. Each of our vehicles undergoes thorough safety inspections, including a driver walkaround check before every departure. 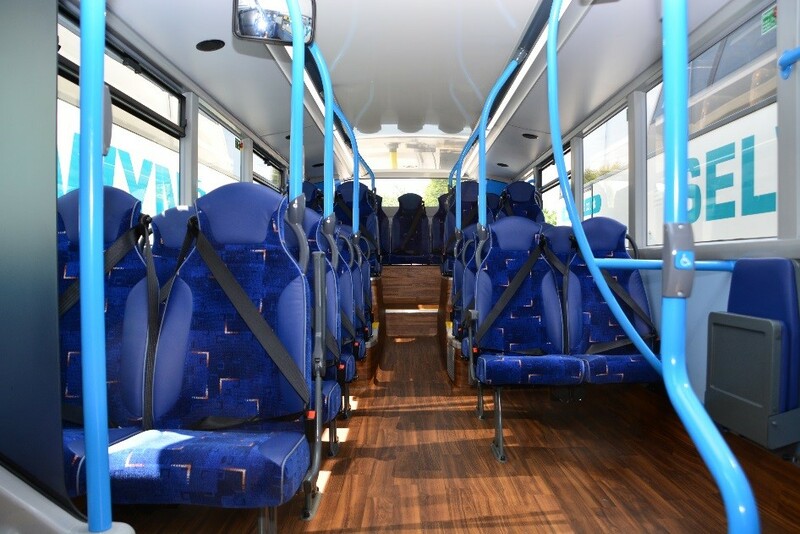 In addition, all of our coaches are fully fitted with seatbelts and CCTV. Our tracking devices along with our breathalyser policy ensure that we are able to give schools, colleges, students and parents peace of mind. We are proud to have BUSK Benchmark, which is the first and only independent star rating for the mini bus and coach industry based on safety and legal compliance. Other companies may appear to be cheaper, but you may find they are running buses, which, by law, do not have to have seatbelts fitted. With Selwyns Coach Hire , there is no compromise with regard to the safety of your students! Our fleet of top quality coaches is driven by friendly uniformed staff who are trained to the highest customer service standards. Selwyns coaches range in size between 29 and 57 seats. We also have 70 & 80 seater double deckers available for ‘in between‘ journeys. Our experience with group travel and group holidays means we can cater for a wide range of school transport needs. For a no obligation quote for your school coach hire, fill in our Quick Quote form online.